Aimax Provider is a leading firm that provides SugarCRM customization, Development, Modification and Integration to organizations requiring them. All the enterprises, whether big or small necessitate customized Sugar CRM so that their business process runs smoothly and efficiently. Aimax has offered suitable customization to several firms and companies according to their business requirements and have completed several projects efficiently. With several years of experience in the implementation of CRM systems, we have delivered solutions and services to manage the businesses with great expertise. 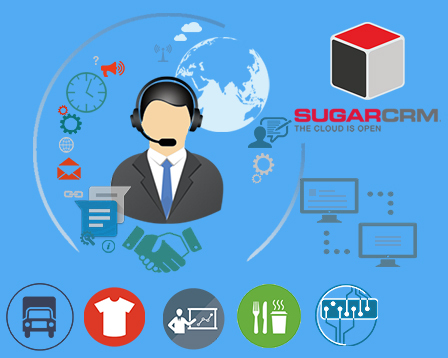 Whether Sugar CRM requires customization, development, modification or integration, we have done it all with experienced staff. Aimax specializes in creating modules that are customized according to each industry and develop and modify them accordingly. We are specialists in providing development of web services to the firms so that they can function smoothly. 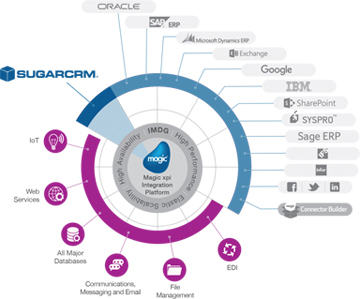 Pick us to get your CRM system integrated to the Sugar CRM and get all the guidance and solution to elevate your business standards. Achieve your all the business targets and attain great heights with comprehensive training provided by expert trainers at Aimax. Expert technicians and developers at Aimax provide top notch development on CRM systems for the corporations. We specialize in transferring data from the CRM system to the SugarCRM of all the companies so that they get complete advantages associated with it. By getting system integration done through Aimax you will get a systematic approach towards enhancing the business growth of your enterprise. Aimax has experts that design the SugarCM as per the requirement of any particular business to augment the compatibility and performance of the firm. Aimax provides highly professional technical assistance to all the users and administrators of businesses, whether big or small at all times. Aimax is a leading industry, offering a wide range of services in the CRM systems for businesses and enhances the compliance, compatibility and performance of the firm. Our professional experts are highly experienced to provide SugarCRM development and modification with great ease and we apply a systematic approach to understand and customize the needs of the business. We work with an aim to get improved client satisfaction and provide manageable and methodical workflow to the clients with customized and flexible CRM services. Aimax provides your business with sharp and vibrant systems that automate and streamline the workflow of the business. we provide a structure that is quite efficient in tracking the leads and sales of a company so that data can be analyzed. Our technicians make the system resourceful so that leads and sales are managed proficiently. 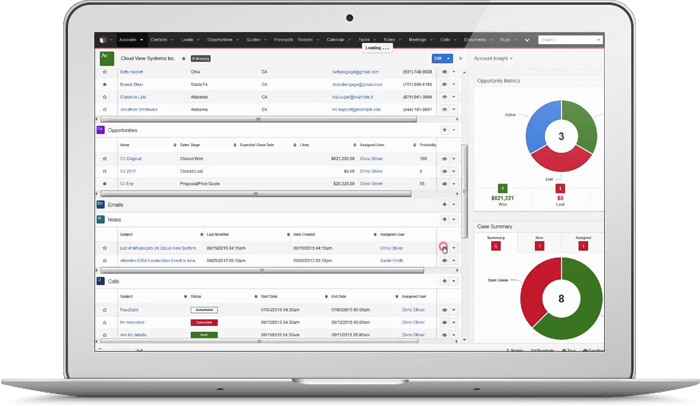 Aimax increases the functionality of the business with SugarCRM open source software that helps with an effectual Payment Gateway on the web pages. our experts are capable of providing unparalleled services in the billing system so that it is customized according to your requirement and provides complete functionality required by the firm. 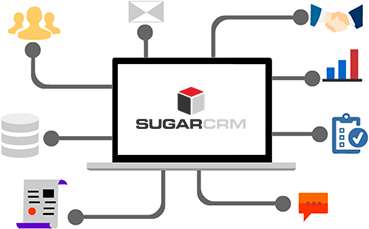 your business gets completely synced by our experts on the Sugar CRM and you can utilize several plugins, languages etc. to make your company more organized and functional.